The Organization: The BC Ministry of Technology, Innovation, and Citizens’ Services (MTIC) is one of the largest BC Provincial Government Ministries and MTIC is always looking for ways to do more with less. Challenge: One area that has proven effective for BC Government, is the increased use of SharePoint. Unfortunately, the SharePoint users are not always effectively trained in the tools, and even if they are well-versed in using SharePoint, they rarely have the time to design and build effective sites. 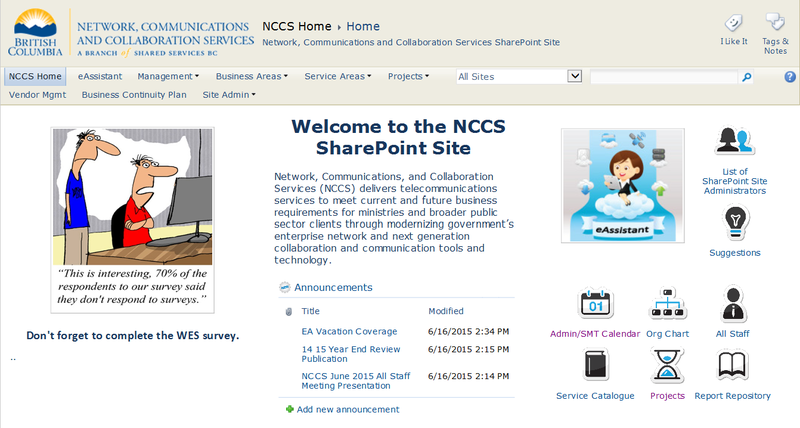 The MTIC Network, Communications and Collaboration Services division had just been re-organized and their SharePoint site and permissions structure had evolved rather than been maintained. Approach: Gerry assembled a small team of business analysts and SharePoint developers to rebuild the NCCS site. The first step was to meet with users to understand their needs, challenges, and opportunities. Based on staff interviews, a detailed design document was developed and approved. 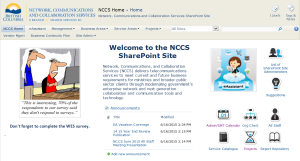 The design document was the core communication tool, and was updated as we developed the SharePoint site, presented prototypes, and encountered opportunities for improvement. A key part of this project was data migration; we utilized the ShareGate tool for this, and empowered and supported users to migrate their own data. Gerry’s team also developed an extensive set of training videos, and face to face courses to ensure the site was well and correctly used. 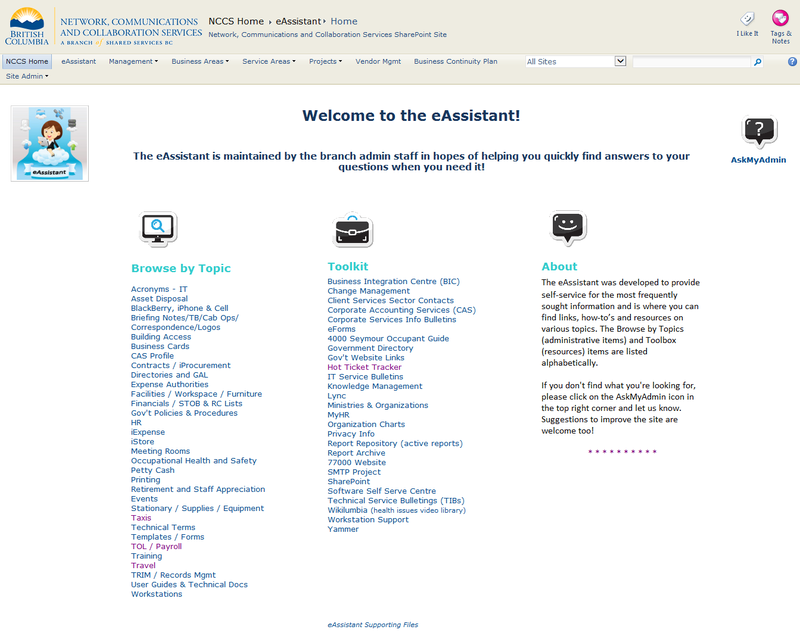 Additional features were added later, including a Report Repository, an executive Discussion Board, project subsite templates, and 1-1 training with a new administrator. 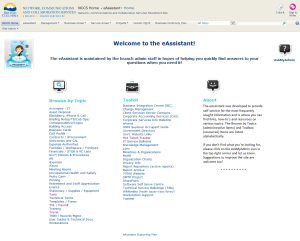 One of the big wins was the eAssistant, a simple SharePoint Wiki that enables a “FAQ” type of function and easily updated by the Administrative Assistants, and search (and bookmarked) by the entire staff.